For the latest updates, please visit our Facebook Page or sign-up for our monthly newsletter. 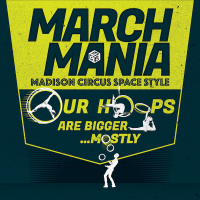 Wisconsin State Journal (10/14/2017)- The Wisconsin State Journal did a feature story on the Madison Circus Space and our capital campaign to raise money for the new space was a feature. Check it out. Wisconsin Life (11/2/2017)- Wisconsin Life did a feature story on the German Wheel community at the Madison Circus Space. Check it out. NBC15 – Groundbreaking (7/19/2018)- Isabel Lawrence from NCS15 captured our groundbreaking celebration nicely! See the story here. NBC 15 (5/19/2018)- NBC15 came to see our move in progress. Check out the full story here. Makeshift Festival (8/14/2018)- Lindsay Christians captures MCS at Makeshift. Read more here. Madison Magazine (2/22/2018)- The Madison Magazine wrote a story about our community and development project. Check it out. Kickstarter Launch! (11/15/2018)- We have launched a crowdfunding campaign to Equip the new Madison Circus Space! 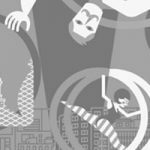 Help fill our new building with Circus Love and Equipment! If you would like to avoid the fees, you can donate directly via our donation page Visit our Kickstarter page! Channel 3000 (5/19/2018)- Our resident Wheel and Dynamic Trapeze instructors were recognized as “Weird and Wonderful.” Check out the full story here.